Exhibitors will be provided with a table top booth. Each booth will have a table two chairs and electrical point. 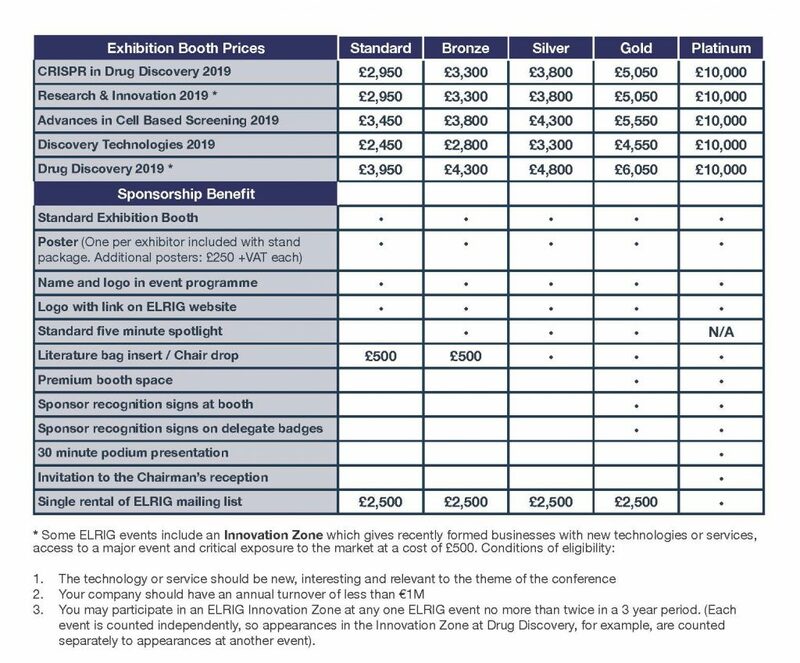 The cost for a booth at this event is £2,950. To view ELRIG’s standard terms and conditions, please click here. We also offer bespoke sponsorship packages. Please contact the ELRIG team at info@elrig.org to discuss your requirements.